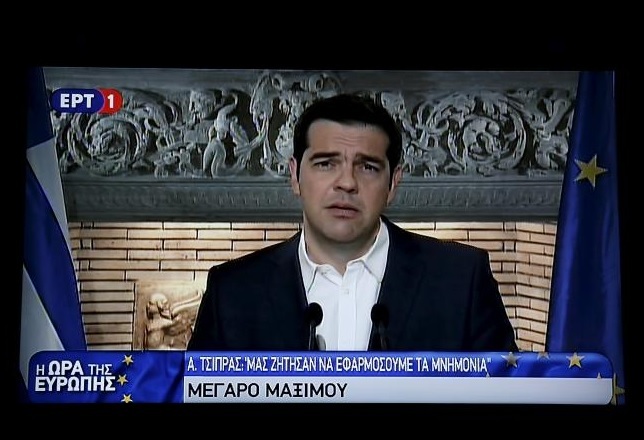 Is Tsipras an Idiot or a Fool? The left-wing Syriza Party of Greece is starting to question what Prime Minister Alexis Tsipras is up to. Merkel is demanding austerity FIRST before any loans. Additional murmurings behind the curtain claim that Merkel wants a list of all assets owned by Greece. If Merkel thinks that she can seize Greek assets upon a default, she is risking the total collapse of Euroland in short order. The entire world is now against Merkel and her drive for austerity. There is no possible way she will prevail in Europe for her policies have no endgame. All she is doing is trying to support the bondholders at the expense if the public. There are those with the Syriza Party of Greece who are now calling for resistance against the results of the Euro Summit. It is amazing that Tsipras is betraying the Greek people after calling a referendum. The endgame here is looking more and more like a collapse in Euroland ahead.